Coats for children and adults will be accepted at all Anton’s Cleaners, Enterprise Bank, and Jordan’s Furniture locations October 14, 2019 – January 3, 2020. Get involved! : There are multiple ways you can get involved with Coats for Kids. Donate warm winter coats at any of our 42 locations or start a coat drive at your school or organization! To learn more about Coats for Kids or sign up as a collection partner, click here. Anton’s Cleaners is proud to be a corporate partner of Belle of the Ball. 800 students were invited to participate in an indulgent day of prom ‘shopping’, free of charge! SOUTH BOSTON, Mass. (October 25, 2016) – Anton’s Cleaners, based in Tewksbury, Mass. is proud to announce the opening a new South Boston store at 116 West Broadway. The new store is Anton’s 43rd location, chosen to meet the needs of South Boston residents after extensive market research. The dry cleaning company’s other downtown locations are on Beacon Hill (37 Charles Street) and Back Bay (Church Park, 203 Mass. Ave.) “We are pleased to finally find the perfect location in South Boston – an area of the city we’ve been watching grow and thrive over the last five years,” said Arthur Anton Jr., CEO of Anton’s Cleaners. “It took us years to find the right place, but we are convinced that South Boston will be just as successful as our Beacon Hill and Back Bay stores because of its proximity to condominiums and working professionals who need to look their best. We are looking forward to a great relationship with the neighborhood, and are thrilled to unveil our first-ever 24-hour kiosk at this new store.” The new store will be managed by Deana Calderon of Boston. She brings many years of dry cleaning and customer service experience to the new South Boston Anton’s Cleaners. The store is located in a busy and accessible South Boston neighborhood near the intersection of Rt. 93 and the Mass. Turnpike. 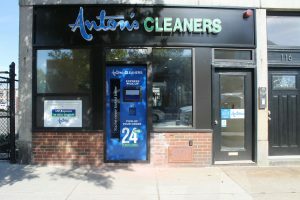 With over 100 years of customer service expertise, Anton’s Cleaners is bringing a new twist to their popular and free VIP Express service: a first-ever 24-hour pickup kiosk. For customers who work non-traditional hours, this easy drop off/pickup service can’t get any more convenient. All VIP Express members receive two free clothing bags, ready-today service, automatic credit card payments, no drop-off/pickup waiting, and monthly savings by email – all at no extra charge. There’s even a way to give us special care instructions in the pouch of your VIP bag. To join, sign up online at https://www.antons.com/services/vip-express/. A new way to give – Caring Partners is on Amazon Smile! Looking for another way to give? Keep our lovely young ladies through Belle of the Ball and families through Coats for Kids smiling, by shopping on Amazon Smile! AmazonSmile is the same Amazon – same products, same prices, same service. It’s easy, when you’re planning on buying something on Amazon, go to smile.amazon.com and choose Caring Partners, Inc as the benefiting nonprofit! A portion of your total sale will be donated to these great programs! Caring Partners, Inc. has no administration costs, 100% of all donations directly benefit Belle of the Ball and Coats for Kids! Belle of the Ball cleans and distributes prom dresses and provides related accessories at no charge to high school junior and senior girls who would otherwise not have the opportunity to attend their school’s prom. The 11th annual Boutique Day took place on April 11, 2015! Want to get involved? Proms are expensive and our participants need more than a beautiful dress. Financial donations are needed in order to purchase shoes, jewelry, handbags, makeup, and other accessories. 100% of the proceeds go directly towards purchasing accessories for participants for the 2016 season. To make a monetary donation, visit here. Anton’s Cleaners collects prom dresses for girls in-need. In 2014, we collected a total of 6,244 gowns. We recently held our annual Boutique Day on April 5, 2014 where nearly 500 students walked away with everything they needed for prom. Belle of the Ball distributes cleaned prom dresses at no charge to high school junior and senior girls who could not otherwise afford to attend their school’s prom. Unlike other prom gown collection drives, this program culminates with a day-long boutique where deserving girls are invited for a day of personal shopping and pampering. Last year over 400 deserving girls participated in Boutique Day. To learn more about Belle of the Ball, please click here. Anton’s Cleaners brings you “bite-size” fashion advice by expert stylist Mary Lou Andre to help start your week! Each Monday, the Anton’s Cleaners Facebook page will feature a new, exclusive fashion tip by Mary Lou to help keep you looking your best! To see all of Mary Lou’s quick tips for the month, visit our Fashion Advice page. As Anton’s fashion expert, Mary Lou Andre provides timely and relevant fashion advice for Anton’s customers. She is the president of Organization By Design Inc, a wardrobe management and fashion consulting firm based in Needham, MA. 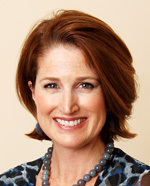 The author of “Ready to Wear: An Expert’s Guide to Choosing and using your Wardrobe” her professional image commentary and fashion tips are regularly featured in the national media such as Real Simple, USA Today, The Wall Street Journal and The New York Times. 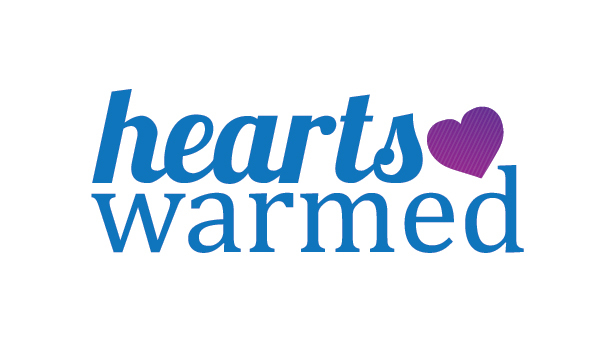 On Wednesday, June 12th, over 350 people gathered at the UMASS Lowell Inn & Conference Center for Hearts Warmed. Hearts Warmed was a celebration of Anton’s Cleaners 100 years in business, honoring Arthur C. Anton, Sr., as well as a fundraising effort for Caring Partners, Inc., a 501c(3) tax-exempt organization. The event raised nearly $210,000 from individual ticket sales, sponsors, and donations, with proceeds benefiting the nonprofit. Caring Partners develops and implements programs to collect and distribute good-quality articles of clothing to children, individuals, and families in need. Serving Massachusetts and Southern New Hampshire, Caring Partners presently sponsors two annual programs, Belle of the Ball in the spring, and Coats for Kids in the fall. Anton’s Cleaners was presented with the 2012 Community Excellence Award by the Family Business Association, a non-profit organization created to honor family businesses and recognize excellence at the annual awards program. The award recognized Anton’s Cleaners for our ongoing community relations programs,Coats for Kids and Belle of the Ball.Anton’s believes in leveraging the resources of the company to assist those in need, which is why we have donated over $10,000,000 in clothing care services since Coats for Kids began in 1995 and Belle of the Ball began in 2005.